T o do nothing sometimes is just not an option. The devastating earthquake hit Haiti in 2010 and that was the proverbial straw that broke the camel's back for Dr. David Vanderpool. God's call on his heart was so intense that he immediately organized medical and logistical relief efforts to aid hundreds of thousands of desperate Haitians -- people who had no water, food, shelter, much less medical care. 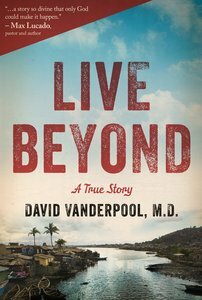 Live Beyond is the inspiring story of a man who let his heart for suffering people drive his life and family priorities. And the greater joy comes in hearing stories of people who have new hope and a future because a team of people came and stayed in their hour of need.